Chief Executive Officer of the Ghana Chamber of Telecommunications, Kenneth Ashigbey says more education is needed to reduce the menace of Cyber Crime in the country. Mr. Ashigbey is of the view that intensifying education on cybercrime is crucial in order to reduce the number of cases recorded. As at 2017, Ghana lost 97 million dollars to cybercrime. Delivering a speech at the launch of the Jumia Ghana Mobile Report, Mr Ashigbey said Ghanaians must be more abreast with technology to be able to tackle cyber fraud cases in the country. “There is a cyber-security policy that is going to parliament that is trying to look at this but you bear me out that, we have been doing that for a while, the criminals have also been at it and they are constantly at the front and so the same way ethical hackers, we need to get ethical scammers so that we can understand the thinking and the mentality of the scammers. The cyberspace is deadly opportunities like this are great for us to educate our people” he stressed. Meanwhile the Managing Director of Jumia Ghana, Ore Odusanya said his outfit will keep partnering with key mobile brands to provide a bigger and better mobile industry in Ghana. Mr Odusanya said Ghana’s mobile sector is poised for continuous growth in 2019 especially as there have been increased investments in the sector and the growth in data and mobile money services in the country. 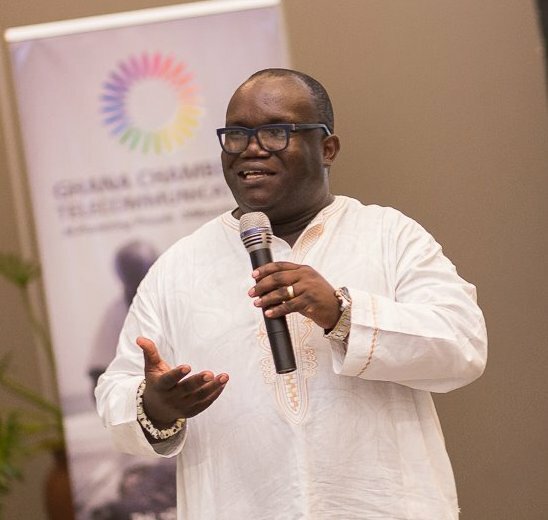 “For us we are trying to ensure that we keep trying to partner with mobile brands, the device makers to make sure that Ghana has a strategy for Africa” he stated.